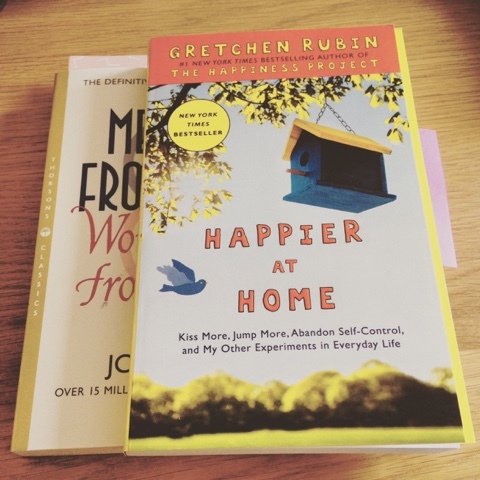 This month I decided to take part in Bon's Book Club (I'm a few days behind), I've wanted to for a while and this month the book she was reading really appealed to me - 'Happier at Home' by Gretchen Rubin. I would highly recommend this book, and have done so to many friends already. It isn't about achieving happiness it's about simply being happier. It is predominantly a personal journey that Gretchen takes you on with the use of the home as a focus point. I found this very useful for me as I have been struggling to feel properly at home where we live, being military accommodation it is very easy to feel a sense of 'just passing through' and a lack of permanency that I occasionally find exasperating and insecure. I would like to feel that I am bringing a child into as homely an environment as I can make it. I had not read the Happiness Project so I didn't know what to expect but I loved her writing style. Gretchen sets her book out by having resolutions that she concentrates on achieving every month. I have found that I can apply alot of 'Happier at Home' to my own life and although I love the idea of having resolutions to achieve every month, I also like to achieve things instantly overnight... I'm not sure if that is helpful to me because I would lose inspiration otherwise or whether my impatience just leaks through in all areas of my life! Personalising it to yourself is essential and I found it very refreshing that I could change things for myself at home or in my marriage without them having to be forced upon Tom to achieve as well. Gretchen also manages to deal with the pereceived selfishness of striving to be happier while not neccessarily making anyone else happier which I found helpful. And by simpler I mean skedaddling off to the country with no wifi connection and being entirely self sufficient. I've certainly had moments when this has appealed and an escape away from the 'real world' has seemed a good solution to being happy. However, Gretchen points out that by simplifying the lives we already have (by reducing clutter, writing off projects that have been sat waiting to be begun or completed, reducing the never ending 'to-do' list and wanting what we actually already have) we can make ourselves happier. Accepting this in the past few weeks has certainly helped me feel happier. I have an interior to-do list that is probably as long as my arm, it is all things I feel I should do or make or presents I should give... I set myself up with so many things that I simply can't achieve half of it. In fact, my way over the top to-do list makes me feel exhausted and my total lack of achievement makes me beat myself up not making for a happy Alice. I'm all for having a more natural way of life, that is certainly something that I would like to one day have but now is not that moment. We do not have the garden set up to grow our own vegetables and I'm not going to embrace re-useable nappies with my first child when I really don't know what I am getting myself into! By attempting to naturalise my life now I am just creating extra stress and strain that is not going to make me happier at all. Simplifying my present life will certainly make me happier. This is something I realised I had never really thought about but it is extremely important to my happiness - embracing what I do and don't like... concentrating on knowing and doing what makes me happy and reducing less of what doesn't make me happy seems obvious but, in my 25 years I have never really stopped to think about what makes me happy and what doesn't. 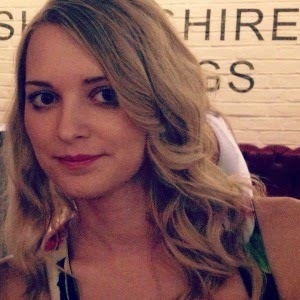 - I'm generally quite a messy person but I actually love organising and organisation. I like routine and knowing that in amongst work and play I have managed to achieve some thing in the way of housework. - Reading makes me happy. - Taking a moment to pamper myself makes me happy. - Watching series and films makes me happy however, duvet days don't make Alice a happy bunny.. staying inside all day makes me feel sick...duvet mornings or afternoons might just about work. There is no point pretending that I'm going to do something and actually achieve it if it doesn't inspire me. It's just going to be a drag on my energy and resources and never see fruition. If I'm honest I wish I had realised this all those years ago when I was choosing my college subjects, I might have done better. In the long term it hasn't actually affected my happiness. Concentrating on things that do inspire me is part of 'Being Alice' but it will make me think twice about taking on a project or starting down a road if I am not certain that it inspires me enough to achieve it well and reach the end. After reading this book I have set myself up with some resolutions which I hope to achieve in my own happiness project to make me happier and my house more homely. Have you read it, if so what areas did you find most helpful to you?